A commission that I completed a few weeks ago. 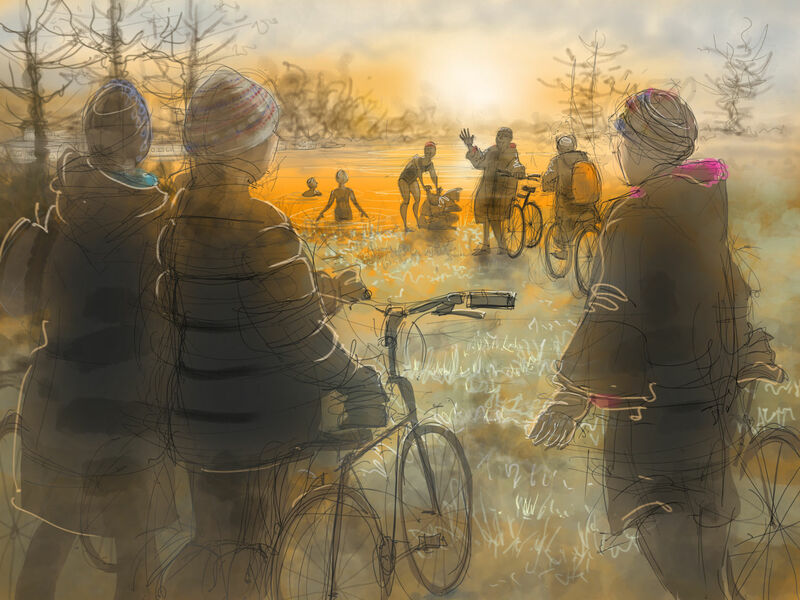 It was for Beccy Mullett’s birthday – this is her and the rest of her winter swimming (and cycling) ‘Pod’, and her friends who are also in this picture commissioned me to draw it for her. Beccy is in the foreground, left of centre. Below are also some of the photos that I put this together from. I shall be at the Swim Serpentine Event (Hyde Park, London) on September 22nd if anyone would like to ask me about having something similar done, always happy to talk if you have an idea you’d like made into an artwork. This is a digital drawing, and one of the useful things about that is that I can make multiple prints if required – I only make prints of commissions for the people who commission them, but in this case I made up a large mounted print of this drawing for the birthday girl, and another 7 small ones for each of the other swimmers, who also gave her this as a present. 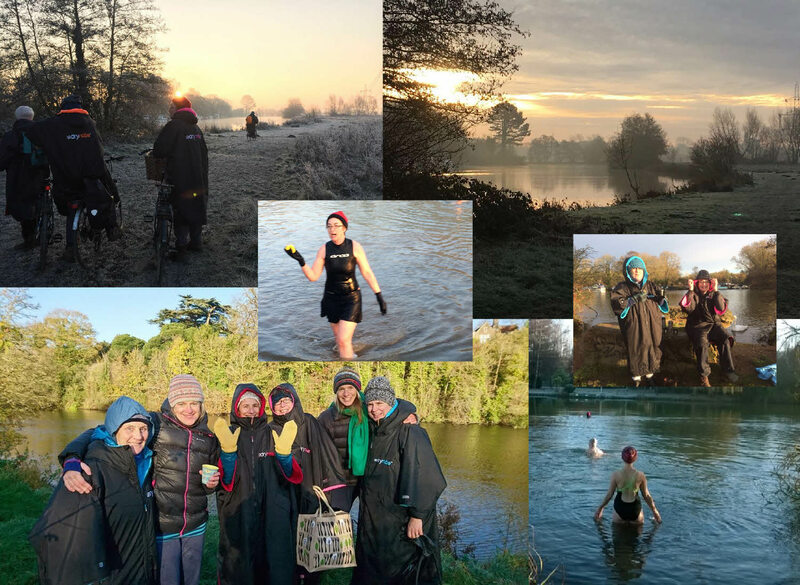 This entry was posted in commissions, digital and tagged art, commissions, digital drawing, outdoor swimming, sunrise, Swim Serpentine, Swim Serpentine Festival, winter swimming on August 30, 2018 by Nancy Farmer.